* All units come complete with full pads, which cover the frame and springs. * Pads are 1”� thick polyethylene, closed cell foam that resists moisture absorption. * Impact absorbing pads cushion against shock and spring back into shape. * Tramp Master covers the pads with a vinyl that has properties equal to a 22 oz. material. * Bungee cord attachments secure pads firmly to frame and allow the pads to be reversible. * For safety our standard trampoline pads do not cover the corners. There are no springs in the corners to support the pads, if covered and a jumper steps there they could fall through. * Corner pads wrap around corner radius for added protection. 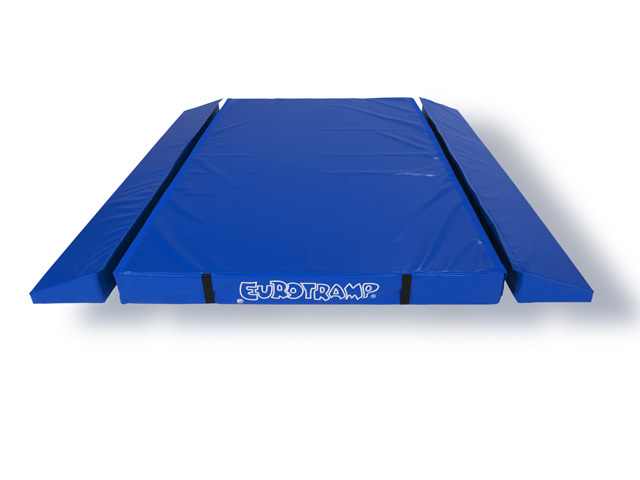 * Tramp Master includes these on all of our standard trampolines. * Optional, Tramp Master corner covers are available to fill in the open corner space. * Corner covers wrap around the corner pads. * They are made from the same polypropylene material as the bed. 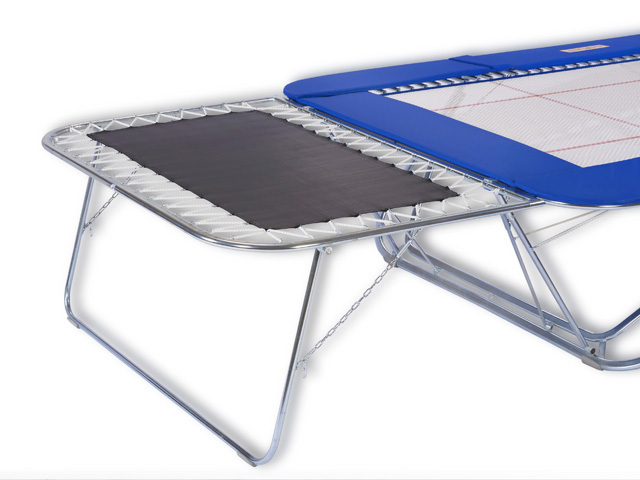 *The standard trampoline comes stock with the black poly bed. 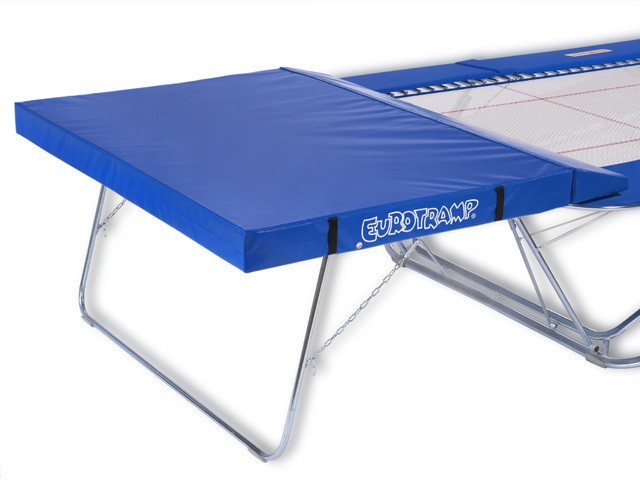 *This trampoline comes standard with 9” springs. * Tramp Master’s 8 piece sleeve construction frame makes it easy to transport, assemble, disassemble, and store.